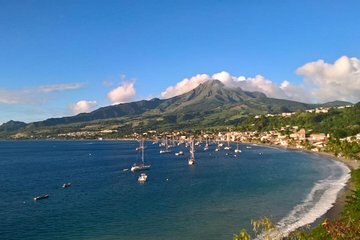 Profitez au maximum du court séjour en Martinique pour découvrir les attractions les plus incontournables de l'île, notamment une distillerie de rhum, une plage de sable noir et des ruines historiques. Cette visite guidée en petit groupe fournit des commentaires qui vous permettront de mieux comprendre l'histoire et la culture de la Martinique. Vous pourrez également goûter aux saveurs locales de la Martinique en dégustant du rhum. Sebastion was EXCELLENT. He was one of the best guides we have ever had. I would not use this company for this tour. We had 14 on our bus. It was hard to understand the man who gave the rum tour. We really did not learn anything as he was hard to understand and talked very softly. They also were not there on time to pick us up. We left at 10 after waiting for 40 minutes in confusion. The guide never talked about the culture of the people or the country. It was a very long bus ride with no conversation. Most of what she said she read from her phone. We were on a large bus and this was to be a small group tour! We did not feel that this was a small group tour. Very disappointed! This was a guarantee of maximum of 12. We did not get fed anything and were hungry due to them being late we missed lunch on our ship. She did provide rum drinks at the beach. Renee, our driver, and Sebastian, our tour guide thru Beyond the Beach tours, were outstanding. This tour is truly unmissable as advertised. Sebastian was very engaged about giving us information and he really took care of us. He went above and beyond. We left the tour loving the island. This was definitely our favorite stop and tour. We had a great time on this tour even though the dates got mixed up the tour company were able to fit us in. We got to see most of the Southern part of the island and did stop in at a two year old Rum distillery and sample some of the best rum i have ever had. By the way take euros with you as they rarely take US money. Gwladys was our wonderful guide. We had the opportunity to visit so much of the island away from the city. The tour was very well organized. We enjoyed a thorough overview of the island including a visit to a waterfall, distillery and several ruins. The bus was comfortable and roomy. While some people went to the beach, others had the opportunity to go to a local bakery and enjoy the food. I would recommend this excursion for those wanting an overview of the island. Our guide Sebastiano was excellent! He is highly knowledgeable about all aspects of Martinique and was very enthusiastic about sharing his island with visitors. Martinique is a beautiful place. We really enjoyed learning about the volcanic eruption and visiting the rum distillery. The bus was very comfortable and not overcrowded. I would recommend a better PA system to make it easier to hear. This was our 1st trip booked with Viator and was booked as an alternative to trips organised by the cruise ship. Very good value, there were 6 of us on the tour and we were transported in a modern comfortable people mover. Drinks were offered both alcoholic and non. The guide sorry can't remember her name was very knowledgeable and gave us lots of information on the island and how it is run, and how people live. We went to a rum distillery, very interesting tour, then the beach, and a waterfall in the rain forest which would be inaccessible to larger vehicles. We were very pleased with the tour and it's success has given us confidence to look at other tours offered by Viator. We enjoyed this tour! Our tour company was Beyond the Beach, and our guide was named Sebastine.  Our van was immaculate and Sebastine was very informative, friendly, and spoke English well. We would definitely recommend this tour for those wanting a good overview and history of Martinique. We really enjoyed seeing as much as we did of Martinique, especially since a couple of my ancestors came here from France nearly 400 years ago. Mt. Pelee was especially interesting. Leslie was amazing! We are so happy we took this tour. We loved it! The black sand beach and the waterfall in the rainforest were spectacular! We were given small yummy snacks throughout the tour. At the end we asked Leslie for a great local lunch recommendation and she took us to a delicious spot!